CR Vanguard, the supermarket operator under China Resources Group, will continue to enhance its expansion in 2014 and plans to open 78 new stores in East China. In 2003, CR Vanguard opened its first outlet in Hangzhou. After 11 years of development, the company currently has over 351 stores in East China. CR Vanguard's new Zhuantang store in Hangzhou is expected to open in January 2014. With an operating area of 20,000 square meters, this store offers over 30,000 kinds of products. This new store features optimized displays and customer visual systems. CR Vanguard said that its new stores opened in 2014 will mainly be hypermarkets and supermarkets while implementing a multi-model regional expansion strategy. During 2014, the company plans to open eight additional hypermarkets and 50 convenience stores in Zhejiang, Jiangsu, and Jiangxi. 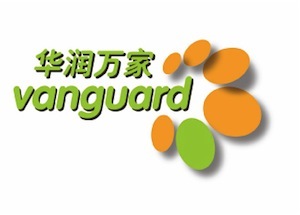 In addition, CR Vanguard will increase the number of its VanGO convenience store in Hangzhou from the existing 11 to 73 in 2014. During 2013, CR Vanguard opened five new hypermarkets in East China in Suzhou, Yixing, Yuyao, Kunshan, and Taizhou, respectively. Be the first to comment on "CR Vanguard Eyes 78 New Stores In East China"